This entry was posted in APlusPhysics, Electricity & Magnetism, Events, Mechanics by admin. Bookmark the permalink. Hello, I want to follow the second week of this schedule as I am self-studying for the AP Physics C: Mechanics exam, but I do not know where to find the Bertrand review packet. Where could I be able to find this? Hi Annette. 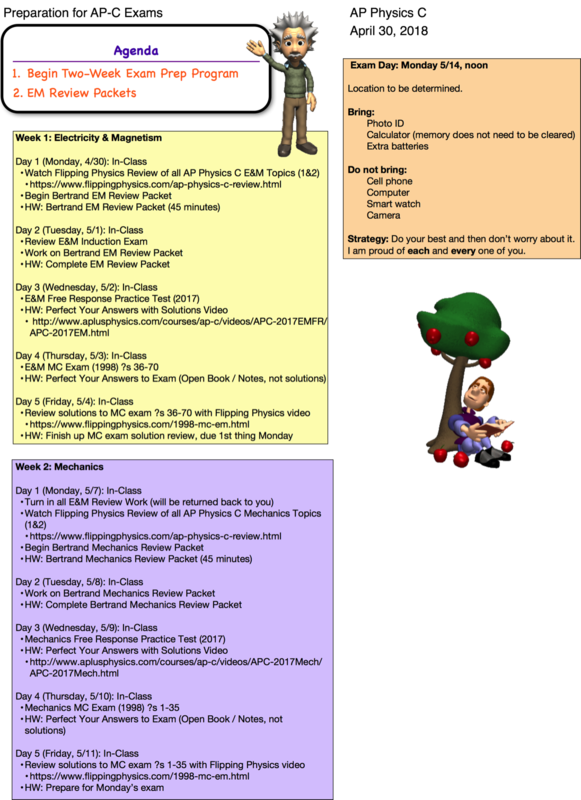 These are only available to registered physics teachers at the Secure PGP website.